Louisa May Alcott is one of America's best-known writers of juvenile (intended for young people) fiction. She was also a reformer who worked to gain the right to vote for women and who opposed the drinking of alcohol. Louisa May Alcott was born in Germantown, Pennsylvania, on November 29, 1832. She was one of four daughters of Bronson Alcott, an educator and philosopher (one who seeks an understanding of the world and man's place in it), and Abigail May Alcott. Her father was unsuited for many jobs and also unwilling to take many of them, and as a result he was unable to support his family. The Alcotts were very poor. Her father moved the family to Boston, Massachusetts, in 1834 and founded the Temple School, in which he planned to use his own teaching methods. The school failed, and the family moved to Concord, Massachusetts, in 1840. Alcott's father was a strong supporter of women's rights and an early abolitionist (opponent of slavery), and his friends were some of the most brilliant and famous men and women of the day. His friends included Henry David Thoreau (1817–1862), Ralph Waldo Emerson (1803–1882), Margaret Fuller (1810–1850), and Theodore Parker (1810–1860). Alcott and her sisters became friends with these visitors as well, and were even tutored by them at times. This combination of intellectual richness and actual poverty helped Alcott develop her sense of humor. Alcott soon realized that if she and her sisters did not find ways to bring money into the home, the family would be doomed to permanent poverty. In her early years she worked at a variety of tasks to make money to help her family, including teaching, sewing, and housework. At sixteen she wrote a book, Flower Fables (not published for six years), and she wrote a number of plays that were never produced. By 1860 her stories and poems were being published in the Atlantic Monthly. During the Civil War (1861–65; a war fought in the United States between the states in the North and the states in the South mainly over the issue of slavery), Alcott served as a nurse until her health failed. Her description of the experience in Hospital Sketches (1863) brought her work to the attention of many people. The attention seemed to die out, however, when she published her first novel, Moods, in 1865, and she was glad to accept a job in 1867 as the editor of the juvenile magazine Merry's Museum. The next year she produced the first volume of Little Women, a cheerful and attractive account of her childhood. The character Jo represented Alcott herself, and Amy, Beth, and Meg represented her sisters. The book was an instant success, and a second volume followed in 1869. The resulting sales accomplished the goal she had worked toward for twenty-five years: the Alcott family had enough money to live comfortably. After Little Women set the direction, Alcott continued producing similar works. She wrote An Old-fashioned Girl (1870), Little Men (1871), and Work (1873), an account of her early efforts to help support the family. During this time she took an active role in speaking out about the danger of drinking alcohol, and she also campaigned for women's suffrage (right to vote). She also toured Europe. In 1876 she produced Silver Pitchers, a collection containing "Transcendental Wild Oats," a description of her father's failed attempts to found a communal group (where people live together and share ownership and use of property) in Fruitlands, Massachusetts. In later life she produced a book almost every year and maintained a loyal following of readers. Alcott died on March 6, 1888, in Boston, Massachusetts. She seems never to have become bitter about the struggles of her early years or her father's flaws. She did give some indication of her feelings about him, however, when she said that a philosopher was like a man up in a balloon: he was safe, as long as three women held the ropes on the ground. Ruth, Amy. Louisa May Alcott. Minneapolis: Lerner, 1999. Saxton, Martha. Louisa May Alcott: A Modern Biography. New York: Farrar, Straus, and Giroux, 1995. 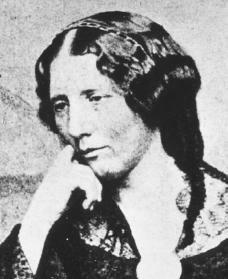 Stern, Madeleine B. Louisa May Alcott. Norman: University of Oklahoma Press, 1950. It is a honor to find me in internet but sincerely the information that you have published is wrong so I would like to talk to your official manger so you can put the right information, and also I would like to put somethings about my favorite book "Little Women".